Slide into Spring/Summer with the happiest & prettiest feet you could ever wish for wearing a pair of our Women’s Sliders! Here at IKRUSH, we have all new women’s sliders in ready for the summer months ahead. Whether you want a pair to wear casually with your comfy tracksuit or if you want a pair to style with cute shorts at the beach, we have got you covered! From fluffy, to metallic, to embellished, there really is a style out there for everyone! 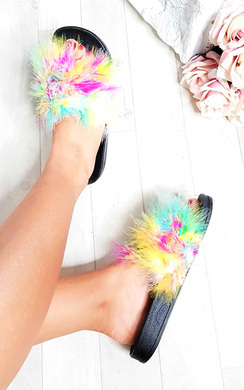 Get fluffy with our new in Cassie faux fur sliders - these multicoloured women’s sliders are so beaut! How amazing! 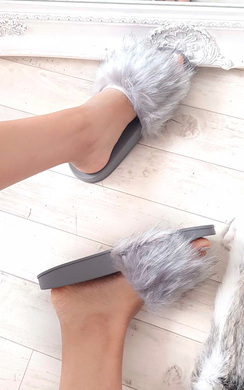 ‘It’s so fluffy i’m gonna die’ - these are for sure on our list of purchases! Leave a sparkle wherever you go with our Silia sliders. These glittery numbers will have you shining from day to night! 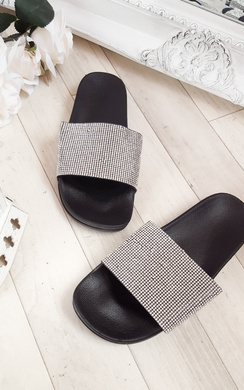 Available in both white and black, these silver sparkle sliders are a favourite of ours! 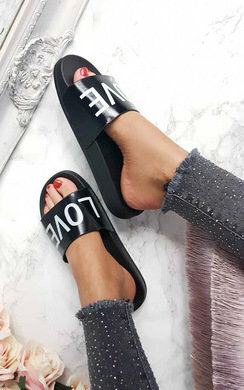 We love ‘LOVE’, which makes our Karla women’s sliders the best ever - metallic finish, and ‘love’ printed on top these are cool and edgy paired with your fave skinnies and a basic tee for a relaxed summer vibe. For those who are wanting a lil bit more street cred and are all about the grunge - our Molly chain sliders are definitely suited for you! 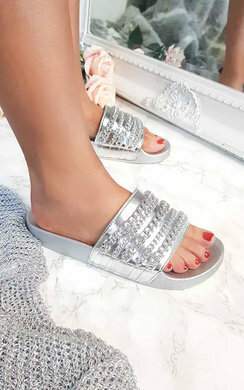 Metallic silver finish, these will look extra cool paired with your fave tracksuit and oversized sunglasses! Lastly, available in both pink and black is our Amra sliders. These scream rock and roll with a girly twist as they have studded detailing across the top - pair with a band tee and some leggings for a chic rock vibe. Be sure to tag us in all of your IKRUSH picks on social media using #ikrushbabe - we love to see your style!